The importance of awareness and the basic characteristics of an orb dust. IGHS has pointed out that common sense is very important for the paranormal investigators during field investigations to eliminate unnecessary mistakes when it comes to evaluating ghostly anomalies. However, in my opinion we do not only need a conscious mind and common sense during ghost research field investigations, but we must also have the sense of awareness. Awareness is the deep understanding of something that builds up through personal learning that is related to our existence in the physical world. The need of awareness during field investigations. Therefore, we have to learn about our field investigation surrounding in order to achieve great understanding of the existence of the spirits of the dead. Why we need the Mind-Body-Soul concept during field investigations is because we need to achieve spiritual balance that consists of awareness through our physical senses that are related to reasoning, and spiritual understanding on the spiritual side. In fact, failure in understanding the existence of spirits of the dead not only will lead us to fail to show our respect and reverence towards the dead but also will bring failure to understand even our own existence. Furthermore, IGHS has pointed it out that if we would indeed behold the spirit of death, we must open our heart wide unto the body of life. Therefore, one’s own self is the nearest being that one can learn to understand the existence of the spirit of the dead. In fact, the spirit world can be considered the dark side in our life when we are still alive in the physical world where which most of us try not to talk about the said dark side because of our limited understanding regarding the truth beyond death. In line with this discussion, I would like to emphasize that, even though the basic existence of the spirit of the dead is in the form of ghost orb pattern, but the orb itself has its own dark side. Perhaps, failure to differentiate between a real ghost orb and ghostly orbs that are related to environment is due to lack of awareness on the existence of the dark side of the ghost orb. In fact, we even have lost contact with our own inner self that we tend to put so much time to fulfill our biological needs rather than to listen to the voices of our inner self. Furthermore, failure to understand spirit existence that is related to self awareness gives a great impact on how we see things. Meanwhile, some of us may not only fail to evaluate ghostly orbs but will claim the orb dust to be the real ghost orb. Therefore, such things can happen when we put so much intention in getting great success without understanding the need to be aware during field investigations. Hence, in order to increase our awareness of the surroundings of the field investigation, we need deeper understanding on orb dust that are related to the flying insect and the characteristics of weather patterns condition, because a lack of understanding on the orb dust is equivalent to the dark side of the real ghost orb. Therefore, in order for us to understand deeper regarding the energy that is released by spirits of the dead in the form of a ghost orb, we need to explore and understand the existence of the orb dust. We may not like to see the presence of the orb dust that becomes the dark side of the real ghost orb, but rather than not accept it; we need to take the opportunity to learn the existence of the orb dust that is generated by the surrounding field investigations. In fact, my understanding on ghost orbs not only has been enlightened by the presence of the ghostly anomalies that are related to environment, but it also has given me the opportunity to realize the existence of my own spirit that is far more than important compared to the result of the field investigations. The existence of the dark side of the ghost orb has given me the chance to growth spiritually and explores the dark side of my own life. Therefore, in order for us to understand the existence of spirit of the dead we need to understand why we exist and why we need to know the truth beyond death. Personal Experience: research on the non-ghost orb. Hence, I would like to share my understanding and experience of being depressed due to failure of getting success during field investigations. Rather than feel the pain of the failure, the awareness to the surrounding had given me the opportunity to realize the needs of understanding deeper the orb dust. Therefore, in order for me to learn of the existence of spirits of the dead, I have changed the surrounding condition to be the opportunity to learn deeper on the dark side of the real ghost orb and understand the existence of the orb dust that is generated by certain weather patterns conditions. Recently I had conducted short of 15-minute solo investigation at the public recreational park. However, the weather conditions had changed drastically to become windy, gloomy and drizzling, making the investigations become meaningless as it was impossible to capture the existence the spirits of the dead. In fact, I have captured more dust orbs rather than real ghost orbs through the use of my digital camera that really frustrates me due to the impact of the failure. However, at the same time, the weather conditions has struck my mind and enlightened me that this was the opportunity for me to capture as much as possible the orbs dust that are related to weather patterns, in order to find out the most outstanding characteristics of an orb dust. In fact, within 15 minutes, I had captured more than sufficient orb dust that I could use to analyse to differentiate orb dusts from real ghost orbs. In contrast, not only had I success in capturing more orbs dust, but I also was successful at documenting the existence of the spirits of the dead as well. Furthermore, from the analysis of each of the orb dusts, I found only one best pattern that can be used as a guideline to evaluate ghostly orbs. Furthermore, this characteristic has become the most familiar orb dust pattern. In fact, this characteristic can be found in every orb dust that I have captured regardless of whether the orbs were transparent, non-spherical, and spherical or looked solid. Orbs that are related to orb dust would be transparent. Meanwhile, orb dust that are related to water droplets would be solid and either spherical or non-spherical. However, atmospheric conditions that are related to temperature changes produce thin or thick mist that will most likely produce either overlapping orb dust or a cluster of particles. Therefore, close analysis on photos that had captured different kinds of orbs that are related to the environment suggest that there is only one particular characteristic that stands out to be a general pattern that can explain the physical appearance of an orb dust which is; a noticeable demarcated outer ring. The special article on the research characteristics of non-ghost orbs related to weather patterns can be read from here. However, orbs that are related to flying insects can be verified by looking at the distinct shape that is related to the particular insect that produces related ghostly anomaly. I have written a special article regarding orbs that are related to flying insects that can be read from here. Therefore, I maintain that awareness of the existence of the dark side of ghost orb is very important, not only for our own spiritual growth but also to avoid misjudging an orb. A deep understanding on orb dust is very important for us to understand the existence spirit of dead. 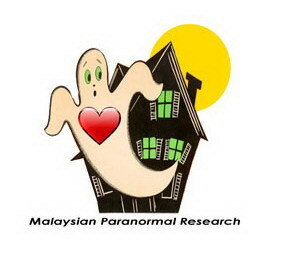 In fact, common sense that has been highlighted by the IGHS is very important as pre-evaluating task that becomes a guideline to eliminate mistakes on evaluating ghostly anomaly. Therefore, if we do not take seriously awareness regarding the existence of the dark side of the ghost orb, we will definitely not only fail to evaluate the energy patterns that are related to spirit of the dead, but our field investigations will result in nothing more than just a story on ghost investigation failure.